The Cambridge Satchel Company is holding a sample sale this weekend. The British brand, loved by celebrities, fashion editors and bloggers alike, is offering up to 60% off its iconic bags. 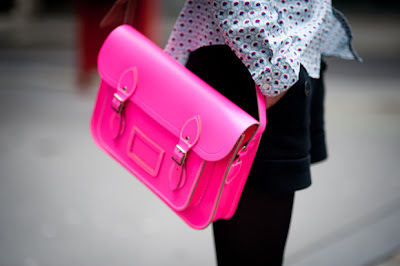 So, if you loved my fluoro-pink satchel, here's your chance to get one at a reduced price. There will be satchels, batchels, music bags and backpacks at The Cambridge Satchel Company's clearance sale. Prices start from £45 for an 11-inch classic satchel (usually £74). And, yes, the four neon shades will be available, along with a whole spectrum of other colours. The satchels for sale are seconds, so they're structurally sound with small imperfections. For an idea of the kind of minor flaws to expect, visit The Cambridge Satchel Company's clearance page where you can already shop for clearance items. 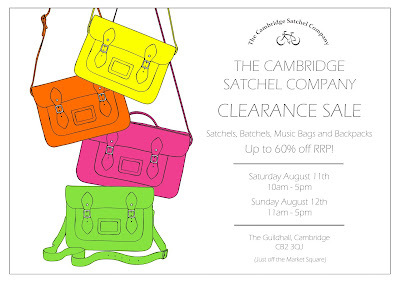 The Cambridge Satchel Company's sample sale is at The Guildhall, Cambridge CB2 3QJ (just off the Market Square) on Saturday 11th August from 10am to 5pm and Sunday 12 August from 11am to 5pm. So, anyone planning a day trip then? I'm very tempted as a red satchel has been on my wish list for ages. Let me know what bargains you find! Yes, it's an amazing colour. So glad you like it. It makes any outfit look good! Im in usa... How can i take advantage if this sale? This sample sale was in Cambridge, UK, but The Cambridge Satchel Company is having an online clearance sale from tomorrow (Tuesday 14th August). 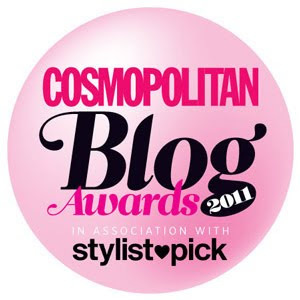 See its Facebook page (https://www.facebook.com/CamSatchelCo) for details as it will be posting a link tomorrow morning to all the clearance items and information on how to order. Ooh, I like the white satchel. So cool! And well done on getting a bargain. So glad small businesses like The Leather Satchel Company and The Cambridge Satchel Company are doing well. Thanks for the heads up about TK Maxx. Thanks for the tip, I live in Cambridge, so little daytrip to the town centre due tomorrow!! Pleasure! Hope you got a satchel – or two! Let me know what you got.